John Ibbitson is the Ottawa columnist for The Globe and Mail. It is he writes "the best job in Canadian journalism". He has published or had produced several works of fiction and history and plays. He is bright, thoughtful, industrious and imaginative. And now he has written a silly book. The Polite Revolution covers a lot. It is not an inside story of contemporary politics scooped from off the record sources such as Peter Newman used to write. There is little in it that an obsessive newspaper reader might not have picked up. It is rather an extended column, an excited and rather rambling argument about where Canada stood in 2005 and where it is and should be heading. 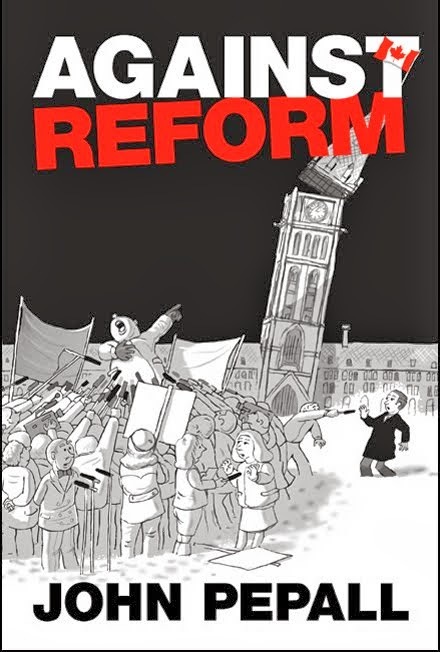 The theme is stated in the opening sentence: "Sometime, not long ago, while no one was watching, Canada became the world's most successful country." Ibbitson argues that Canada's exceptionally diverse population, with a high number of immigrants from a wide range of countries, living peacefully and prosperously together, makes us a model to which the whole world will aspire but that only Canada can fully realise. He advocates greatly increased levels of immigration because "the more the better" as he sees it and, it must seem, to assure that the Old Canada is finished off and the Polite Revolution secure. Canada has changed enormously in the last 40 years. It could fairly be said that there has been a revolution, or revolutions. But much change, social, technological, cultural and economic, has been in common with the developed world, if not the whole world. And the immigration of recent decades is nothing new to Canada. Proportionally and in absolute terms the immigration of early in the last century that settled the prairies was much greater: 1913, when over 400,000 immigrants arrived, is still the peak year. Ibbitson stresses that recent immigration has created visible minorities while past immigration was practically all white. Past immigration, in his optic, did not, after a generation or two of assimilation, produce diversity, the pride and joy of the New Canada. But the trip from Ukraine to Saskatchewan in 1900 was arguably greater than the one from Somalia to Toronto in 2000. Why is the colour of people's skin so very important in the 21st century? What has changed is that in 1900 Canada was something, the Old Canada whose passing Ibbitson celebrates, and immigrants had a sense of something to which, after struggle, they could belong. Between the adoption of the Maple Leaf flag and the end of the Centennial of Confederation it was decided that the Old Canada must go and a New Canada be made up. This was the phoney revolution. It was phoney because those who intended it and advanced it regularly denied what they were doing. But mostly it was phoney because it rested on ideas that were false representations of Canada's history, reality and possibilities and those who promoted them often did not believe in them. The phoney revolution has been so successful that even a bright fellow with a sense of history like John Ibbitson has been taken in by it. But finally it is a failure because, however successfully it destroys Old Canada, it cannot replace it with anything real. So we are diverse. But there is no WE. The population of the Canadian territory is diverse, but each element in that population making up our official diversity is as homogeneous as it pleases. The whole is less than the sum of its parts. Canada has produced a small cottage industry in the political philosophy of multiculturalism but understanding of the multicultural problematic has been little advanced. Where are we headed between preserving scores of closed ethnic chauvinisms observing a casual truce on Canada's neutral territory and freeing individuals under a cultureless civic nationalism to live as postmoderns adopting cultural elements as they choose cuisines or music? Ibbitson does not know. He loves diversity but observes that people like to live with their own kind and does not seem to mind. He cheers the prospect of mongrelisation through intermarriage, even foreseeing the disappearance of distinct First Nations through intermarriage. But this suggests a melting pot and a fading of diversity. He fears assimilation and praises integration not explaining how they can be distinguished. Ibbitson was over the moon on the appointment of Michaëlle Jean as Governor General. He hailed her as "our postnationalist future" dismissing concerns about her loyalty to Canada. She and her French husband were "the cosmopolitan, polyglot and outward-looking Canada of today". Shortly before his panegyric he wrote in this book that Haitians in Montreal knew nothing of Papineau. They know of Toussaint. But "the price of a truly cosmopolitan society" he writes "is ahistoricism - an absence of collective cultural memory". He accepts this with "a regretful sigh". What will be left then for the youth of 2050 with Haitian, Cree, Chinese and Irish grandparents? Four memories or none? These are deep waters and Ibbitson barely skims the surface. That is the Canadian way, the phoney way: enthusiasm for the superficial. There is an economic value to immigration. But Ibbitson never makes clear whether maximising the economic product of the Canadian territory or the wealth of the average Canadian is his goal. These distinct goals would indicate different immigration policies. Ibbitson, however, is after something beyond mere prosperity. He thinks Canada is simply wonderful and going to be wonderfuller still. There is a strain of callow boosterism in his book that makes way too much of Yann Martel, Margaret MacMillan and Arcade Fire. GET REAL! For a country of the population, prosperity and security of Canada our achievements are disappointing. Consider only the achievements of the Australian, and even New Zealand, film industries compared to English Canada's. As for "Canada's gift to the world" our wonderful cities (Ibbitson is perfervidly urban), it is hard to believe Ibbitson has ever been abroad he is so wide eyed at them. His one foreign positing was Washington, which may make Ottawa seem cosy, but Ibbitson does not seem to have overcome being born in Gravenhurst. In his bleak picture of rural Canada he alleges "casual racism, sexism, and homophobia [go] without saying in the Central Ontario counties and districts between the Ottawa River and Georgian Bay". Gravenhurst is at the west end of this rural idiocy. Ibbitson claims that Canada is unique not only in the scope of its immigration but in its success in avoiding racial conflict and other social problems. He implies that multiculturalism achieved this without sparing a thought for the Old Canada that peacefully took in millions of immigrants before it was officially extinguished for recidivist bigotry, racism, homogeneity and dullness. He points to recent tensions in France, the Netherlands and elsewhere in Europe and implies it can't happen here. What these events show is that diversity is not special to Canada but widespread in the developed world and not without its problems. It is simply too soon to tell whether Canada can avoid serious trouble or European countries can not. It would be foolish, but very Canadian, to be smug. Ibbitson's emphasis is on why we should want millions to immigrate to Canada. But why should they want to come here? For the bars on Toronto's College Street? For the Montreal music scene? There will always be a billion or so destitute people in the world who would like to come to Canada for the welfare. They are not likely to come because they have not heard of Canada or are too poor to be able to get here. Third world immigration has been largely from what in those countries constitute the middle classes. Ibbitson does not touch on the morality of our stripping such countries of their skilled workers and professionals. But immigration is always from poor or stagnant countries to rich or booming countries. Immigration from Western Europe dried up as those countries reached North American levels of prosperity. New immigration from Central and Eastern Europe has not amounted to much and will probably dry up. China and India are now booming. In the medium term a young Chinese or Indian would probably do best to stay put. Before the 21st century that Ibbitson claims for it is over Canada may be way down the list of the world's most prosperous countries. It is foreseeable that the kind of immigration Ibbitson wants is coming to an end. Some people of any degree of prosperity and skill will want to go to the United States as long as it is top nation. But the only way for Canada to find the millions that Ibbitson wants may be to take people without skills, illiterate in their own language and far more remote in culture and understanding than any we have known before. Though the wonderful New Canada of massive immigration is Ibbitson's overarching theme, much of the book deals with problems the country faces in always excited and often hectoring tones. Successful though it is, Canada must shape up. So, we need to do something about health care, basically try everything and see what works. 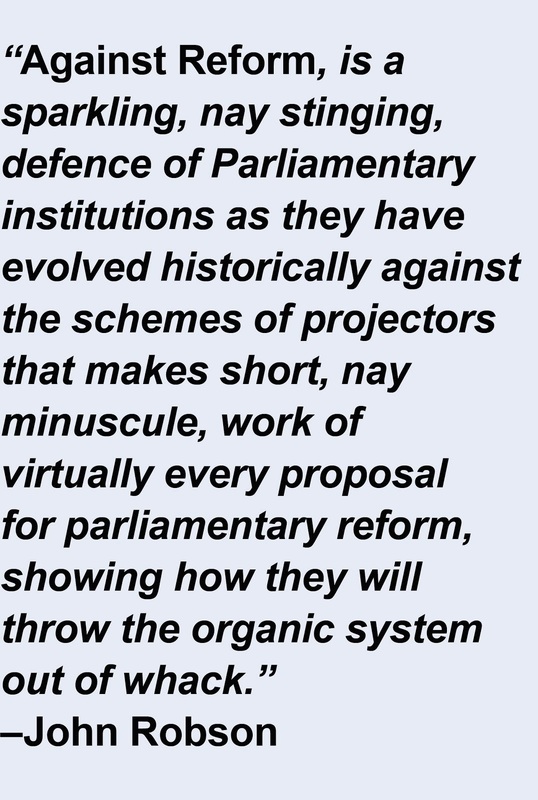 And Ibbitson has fallen for the democratic reform vogue but is too polite to say what exactly should be done suggesting Cranks' Assemblies on the model of the British Columbia Citizens' Assembly on Electoral Reform should be empowered to work their own revolutions on our political institutions. His one concrete suggestion is lowering the voting age, a fatuous idea that will not be made safe by beefing up civics and history courses. And what history should be taught? He concedes it is a problem. Ibbitson's discussion is at times wonkish, there is frequent talk of "tax points", and often commonplace. In a discussion of defence and foreign policy (more spending on defence, more foreign aid) he even suggests a useful Canadian initiative: a Canadian Institute for Democracy to advise other countries how to be like us. Though, as he thinks our democracy needs radical reform but is not sure what, what can he think we have to offer? This in a chapter headed "Making Canada Matter". A keen decentralist Ibbitson would leave Ottawa with little to do beyond defence and foreign policy. The blank New Canada must cut a figure in the world. It is an extension of the vanity foreign policy of the Liberals with a dangerous new aspect as the days of Boy Scout peacekeeping recede. It looks alarmingly like the age old pursuit of relief from domestic political trouble in foreign adventures. Ibbitson hailed Stephen Harper's trip to Afghanistan, seduced by the Tories' sinister patriotism agenda. But how can a postnationalist be patriotic? By being phoney. It is the New Canadian way. Ibbitson so wants to think well of Canada, so loves it even, but cannot make sense of it. Phoniness entraps our best and brightest.